Carlo Scarpa was born in Venice in 1906, and died an accidental death in Japan in 1978. Like many great artists, Scarpa’s work as architect and designer is highly influential and yet remains enigmatic, illusive and hard to categorize. What is obvious in all his work is an underlying transcendental quality, an uncanny ability to create powerful emotional states in all who experience it. It is perhaps this quality that makes him one of the most beloved and revered figures in the history of 20th century Italian art and design. In 1919 Scarpa enrolled in the Royal Academy of Fine Arts in Venice and graduated in 1926 with the title of Professor of Architecture. He did not, however, sit the pro forma exam required by the Italian government, and hence was never fully licensed as an architect. A master of blending ancient and modern materials, forms and sensibilities, Scarpa completed over sixty architectural projects for museums in his lifetime. His agile use of precious, humble and industrial materials in order to elegantly frame historical fragments and artifacts is perhaps his greatest architectural achievement. His devotion to restoration and preservation also seem to suggest a belief that the true vocation of any architect is to quietly re-frame history, to convey a sense of both past and present, uniting them in full knowledge that the future is unwritten. Scarpa’s work as a glass designer is equally poetic and ambitious. Working for both MVM Cappellin and Venini, he produced hundreds of models, all of which are now considered masterworks. 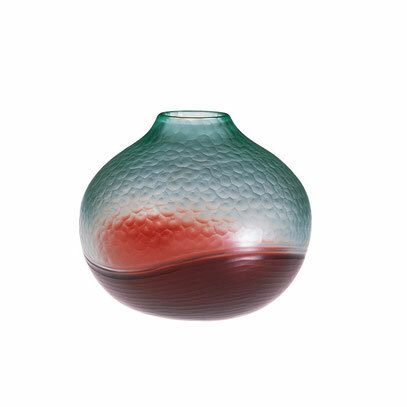 Drawing inspiration from ancient Chinese and Japanese vessels, Scarpa was able to express the best aspects of Murano glass craftsmanship in reduced modernist forms. Even the titles of his series hint at the elemental power of his work: Bollicine, Transparente, Granulare, Iridato, Inciso, Batutto, Vellato, Fasce, Pennellate (Bubbly, Transparent, Grainy, Iridized, Incised, Beaten, Veiled, Banded, Brushstrokes). In 1978, Carlo died from injuries after falling down a flight of concrete steps that he himself had designed in Sendai, Japan. However his death was not immediate—he lived for ten days. While unable to speak, it is said that he could write, but only backwards, and that he spent his last days creating tiny illustrated books for his friends. In the end he was buried in the standing position, wrapped in white muslin, in a quiet corner of the Brion-Vega Cemetery in San Vito d’Altivole, widely considered to be his ultimate architectural masterpiece. Tobia Scarpa, Carlo's son, was born in Venice in 1935. 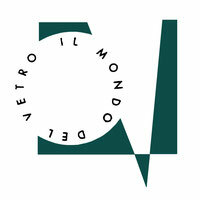 He graduated at the Faculty of Architecture of Venice in 1969. He has received numerous prizes and recognitions, and some of his works are exhibited in the most important museums of the world. From 2000 he teaches at the ClaDIS industrial design faculty in Venice.